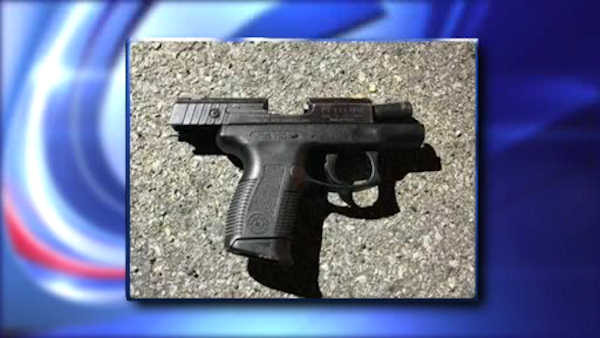 A handgun was found at the scene after police say a teenager opened fire in Brooklyn. BEDFORD-STUYVESANT, Brooklyn (WABC) -- Police arrested a teenager accused of opening fire on a crowd of people in Brooklyn. Three police officers sitting in an unmarked patrol car Friday in Bedford-Stuyvesant say they saw the teen shoot at a large group of people. The officers got out and chased him, apprehending him after the pursuit. Police are not releasing his name because he's a teenager. There is no word on whether anyone was hurt.